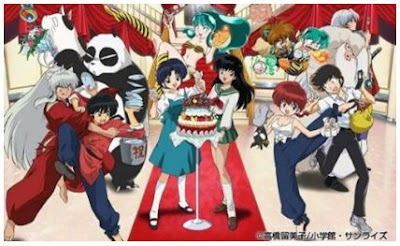 Japanese film distributor Pony Canyon has announced a January 29, 2010 release for a limited edition It’s a Rumic World Special Anime Box DVD collection. The 19,950 yen collection will include the Urusei Yatsura: Shougaibutsu Suieitaikai (Obstacle Course Swim Meet), Ranma ½: Okumu! Shunmin Kou (Nightmare! Incense of Deep Sleep), and Inuyasha: Kuroi Tetsusaiga (Black Tetsusaiga) 30 minute movies, the original opening animation clip, a 32 page booklet, and 12cm figures of Lum, female Ranma, and Inuyasha.